Once you have successfully created the database account, you can proceed with setting up the demo application. 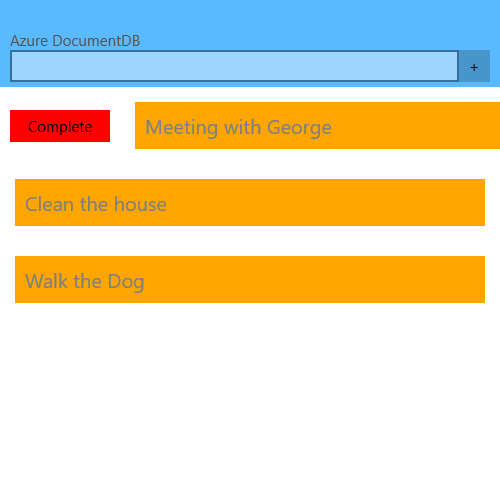 We are also going to create a TodoItemManager class which will be responsible for communicating with Azure. Here is how it is defined. Both the TodoItem and TodoManager classes can be found when you download a sample project directly from Azure's CosmosDb QuickStart page.